Look at the definitions and match them up with the figures of speech. 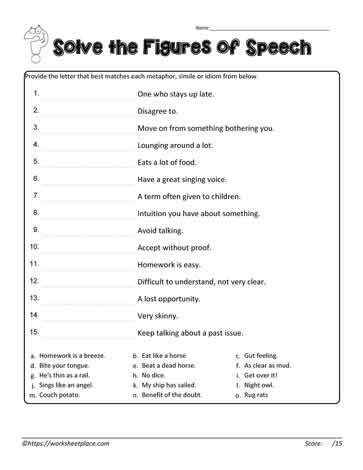 Grade 5 worksheets for figurative language. A unit on similes, personification, metaphor and idioms.